The draw for this weekend’s Race Of Champions (February 2-3) has thrown up some mouth-watering match-ups among the participating world motorsport stars. Each group will also include the winner of a series of Round 1 heats featuring some of the other racers gathering in Riyadh. The top two drivers in each group progress to the quarter-finals. Then it’s a knockout tournament all the way to the Grand Final. The weekend’s action will begin with Friday’s ROC Nations Cup. 11 teams will compete, split over three groups. The winners of each group will progress to the semi-finals, along with the leading runner-up from Groups A and B. The knockout rounds are best-of-three. If scores are tied at 1-1 after the first two heats, the third decisive heat is always contested by the two winning drivers. The top two from each group will progress to the quarter-finals. Then it’s a straight knockout tournament all the way to the best-of-three Grand Final, the winner of which will be the ROC Champion of Champions. “Believe it or not I visited the Race Of Champions way back in 1989 when it came to the Nürburgring. That day I was just watching with my Dad but ever since I’ve been waiting for my chance to compete – and now that day has arrived! I’m really looking forward to racing on the famous ROC parallel track, and it will be a true privilege to take on such an amazing field of great drivers from all over the world who are all experts in their own fields. Bring it on…”, Timo Bernhard said earlier. It brings together some of the world’s greatest drivers from motor sport’s major disciplines and sets them in a head-to-head battle in identical machinery. In recent years ROC has visited some of the world’s best stadiums: the Stade de France in Paris (2004-2006), London’s Wembley Stadium (2007-2008), the ‘Bird’s Nest’ Olympic Stadium in Beijing (2009), Düsseldorf’s Esprit Arena (2010-2011), the Rajamangala Stadium in Bangkok (2012), Bushy Park Barbados (2014), London’s Olympic Stadium (2015) and Miami’s Marlins Park (2017). Now the event is heading to the Middle East for the first time and will take place in the heat of Riyadh. 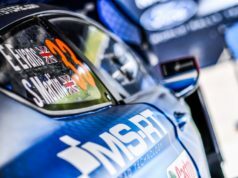 Saudi motorsport fans – including women for the first time at an international event – have a chance to watch the speediest action the city has ever seen. 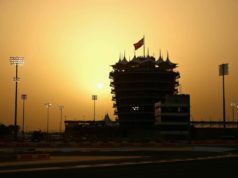 Many of the world’s greatest drivers will compete on a brand new track around the confines of the King Fahad International Stadium. The competitors will take to the track in a stunning range of supercars that have been specially prepared for the event. The vehicles include Vuhl 05 ROC Edition, Ariel Atom Cup, Xtreme Pickup, Whelen NASCAR, KTM X-Bow Comp R and the ROC Car. Among the previous Champion of champions are 4-times F1 champion Sebastian Vettel, multiple WRC champions Sebastien Ogier and Sebastien Loeb. Juha Kankkunen took the first honours in 1988, while Montoya was the latest winner in 2017. Didier Auriol has the most individual victories – 4, while Loeb and Mattias Ekstrom each have 3. Team Germany has won the Nations’ Cup 7 times – 6 of them the team consisted of Vettel and 7-time F1 champion Michael Schumacher.